Brownies are such a satisfying treat-but finding gluten free options that are rich and fudgey can be a challenge. This recipe turn out extremely moist, and chocolatey without eggs and milk. 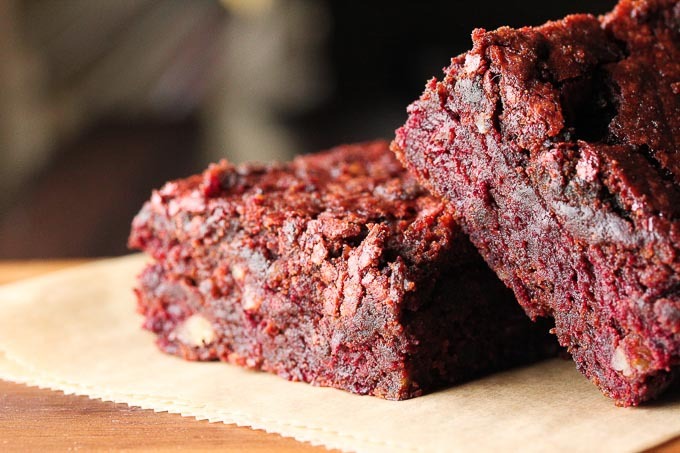 Also the addition of the grated beets makes for a healthy twist on traditional red velvet brownies! We taught this in a dessert class at Six Main that was focused on beets and our students loved this recipe the most. Mix the ground flax and water and allow to set for 15 minutes. In a large bowl mix all the dry ingredients for the dry mix. In a separate bowl mix the wet ingredients and add the flax mixture. Add to the dry mixture along with the grated beets and fold well. Pour into a 9" x9" brownie pan. Bake at 350 for about 30 minutes. Remove from the brownie pan carefully and allow to cool on a cooling rack before eating. They will set up to a firmer and less gummy consistency as they cool. I made these today, very easy and FANTASTIc flavor. Thanks so much, I needed a chocolate treat! Hi Kristi! Thanks! I’m glad it turned out so well and that you liked it! Might you be having another dessert class? We’re not sure when we’re going to be having more classes, but i will be posting more dessert recipes on this blog for sure! Usually we teach in the fall/winter. 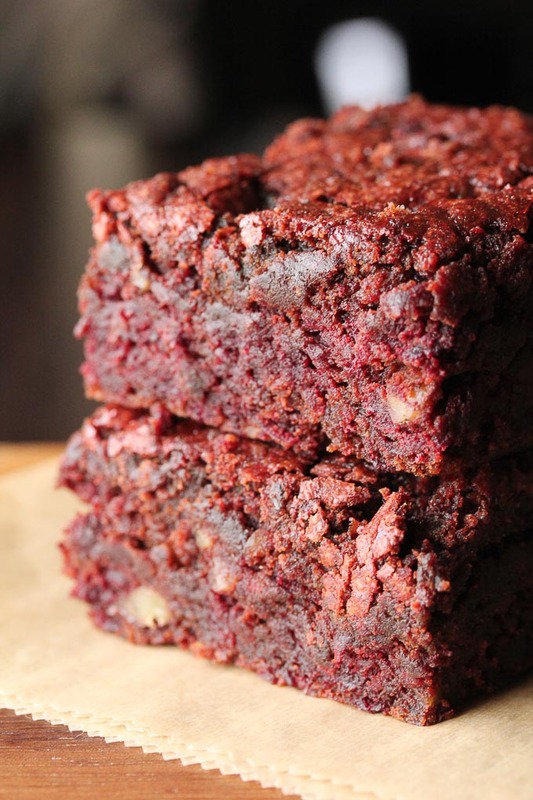 Just want to make sure… the beets should be raw when you grate them and put them in the brownie mix? The raw chocolate cake you made at Cru, and that was sold at Erewhon, is to this day the best cake of any kind I have ever tasted anywhere. IS there any chance you will be sharing this recipe at some point or teaching a class how to make it?